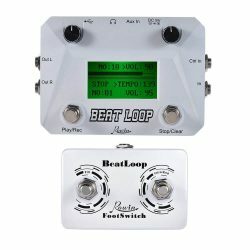 I could spend hours coming up with tons of different effects and tones with these pedals. 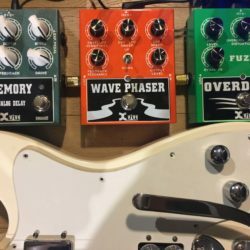 Xvive Fuzz Overdrive Wave Phaser & Delay Bass Demo. I could spend a lot of hours coming up tons of different effects and tones with these pedals. 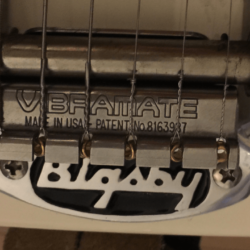 The Vibramate String Spoiler is designed to maintain the same smooth operation and feel of the classic Bigsby vibrato and may even increase the potential range of pitch bending. The fulcrum position eliminates unwanted radial strain to the ball end string wrap. 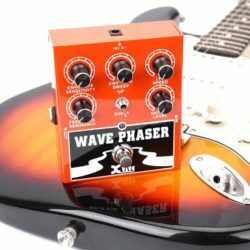 The Xvive Wave Phaser is a state-of-the-art phaser effect for guitar,bass, and other musical instruments with an electrical signal output. O1 Tube Squasher designed by Thomas Blug with FET-based overdrive circuitry which allows O1 realistically emulates the smooth overdrive characteristics of a good vacuum tube amp. When playing, its sound is like a tube sound. 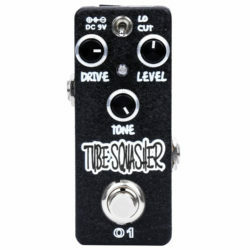 The Tube Squasher is a very powerful tone-shaping tool and a internal supply voltage step-up which allows more dynamic range and headroom with tight bass tones. It is also a great low to medium gain overdrive and great clean boost. Xvive DynaRock T2 is an open, dynamic and warm pedal which comes so close to the natural tone of tube amplifiers. Its ultra high gain and great tone are two phrases that aren’t ofen used to describe a single unit. 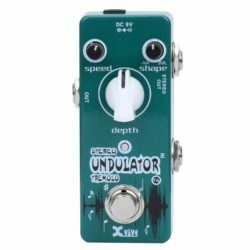 Its distortion is different: it not only takes a lot more effort to get it screaming but still sounding harmonically rich, but also brings you great fat heavy distortion tone. With a balanced gain control, You can hear each strings perfectly play classics like the who, LED Zeppelin, AC/DC.DynaRock is not only a great boost pedal but also can bring you great solo tone with it MID BOOST function. The Golden Brownie is like a vintage Marshall JCM 800® in a box. If you want high gain hard rock ’80 tones then this is the pedal for you. 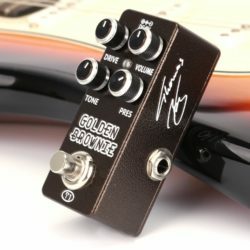 The Golden Brownie features an easy to control gain function. It has an unbelievable (over) Drive range and is perfect for head-on heavy grind applications. The Pres (presence) knob adds versatile tweaking ability that transforms any amp into a fire breathing hellhound! The Tone knob is all about the blues and soul. Turned down, it is time to rock and turned up it is time to sing some blues. The Stereo Undulator is 9-voltage supply pedals but with a higher headroom less distortion and improved clarity. The Stereo Undulator is a wide range of effects. It would give the sine wave modulation at one end , the trapezoid modulation wave at the center and the square wave modulation at the other end. All analog signal path for a warm and rich tremolo effect. Dual ouput channels, stereo output and mono ouput , for a variety of setup options. If you put your ear where the guitar’s direct output is picked up, it is no surprise that the quality of sound is poor, it comes from inside the body of the guitar, not from the room where the actual sound of the guitar should be heard. 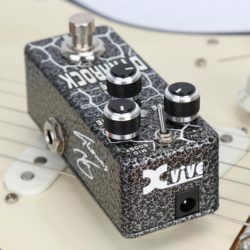 Spectral Reassignment and the Xvive MIKE pedal fix that problem. 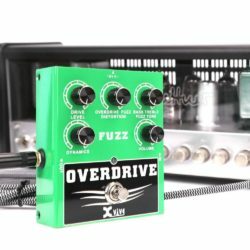 The Xvive Overdrive/Fuzz is a state-of-the-art effect for guitar, bass. Any guitarist who wants to build a pedal board will come across two problems sooner or later. First of all, each pedal needs a power supply. You could use batteries but this is an expensive and time-consuming option. Secondly, you’ll quickly face a chaotic bundle of cables. 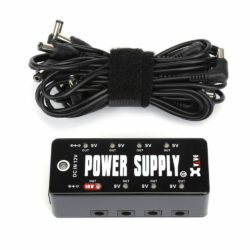 Luckily, we have the solution in the form of the Xvive V19 Power Station, which powers up to eight effects pedals. 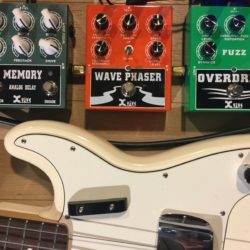 Perhaps powering a pedal board isn’t really a fun thing to do, but Xvive definitely made it a lot easier. 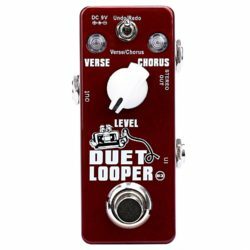 Xvive DUET Stereo Dual Loop- Looper with two modes: Undo/Redo and Verse/Chorus. 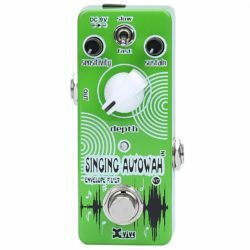 Singing Auto-wah is a double peak envelope swept filter that can be used with either a bass or a 6-string guitar. XVIVE Audio has spent several years in development designing and refining a new analog Bucket Brigade Device that rivals the old 3005 in every way but size and cost. The new XVIVE Audio Memory Analog Delay is an analog delay with a rich organic tone that that can easily be shaped by an intuitive process. 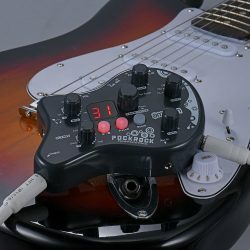 The flexibility of adding echo, delay, chorus, vibrato, etc. 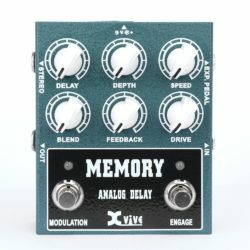 make the Memory Analog Delay a must have on any effects board. 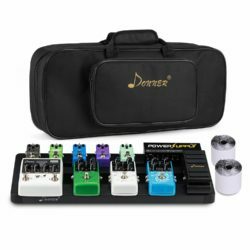 Donner Pedalboards Using Portable aluminum alloy material, lightweight aluminum pedalboard allow you to show without pressure. DB-4 is Donner team unique patented product. 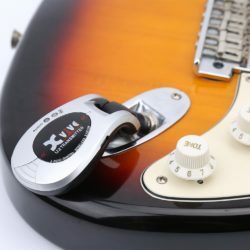 This product uses the disassembled /removable design scheme, and it can be adjusted according to the size of the effect pedals through the Unique structure. You also get a durable canvas bag that safely and securely transports your pedals from gig to gig.40’’professional grade adhesive backed hook-and-loop for securing pedals and zip ties included. 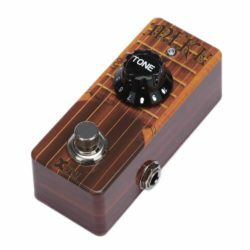 This distortion pedal was designed by Thomas Blug, a famous German musician, guitarist, composer and musical electronic engineer. 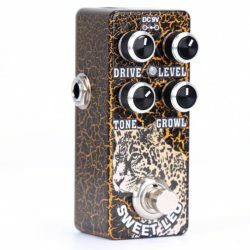 Sweet Leo overdrive has fat and powerful character,the Growl knob control the blend of effects,even with full drive you could hear original tone. The Xvive U2 system features digital wireless technology that delivers incredible audio quality, simple setup, and is extremely reliable for any gigging musicians. 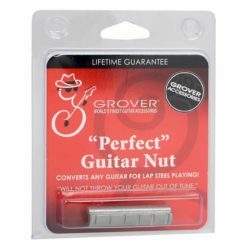 It delivers a full 20Hz-20kHz frequency response, so you’ll hear your guitar tone in great detail with only 6ms of latency. Sellfy. Sell your digital goods. Disclosure of Material Connection: Some of the links in the post above may be “affiliate links.” This means if you click on the link and purchase the item, I will receive an affiliate commission. Regardless, I only recommend products or services I believe will add value to my readers. To learn more about Affiliate Marketing Checkout Affiliate Marketing For Newbies or How To Affiliate Marketing Beginners Guide – Free Course & Websites.